You can find this in the Graphic Designer’s handbook published in 2014 (newest edition), section 3, rule number 7: “You can never have enough templates, mockups, and fonts in your resources collection”. 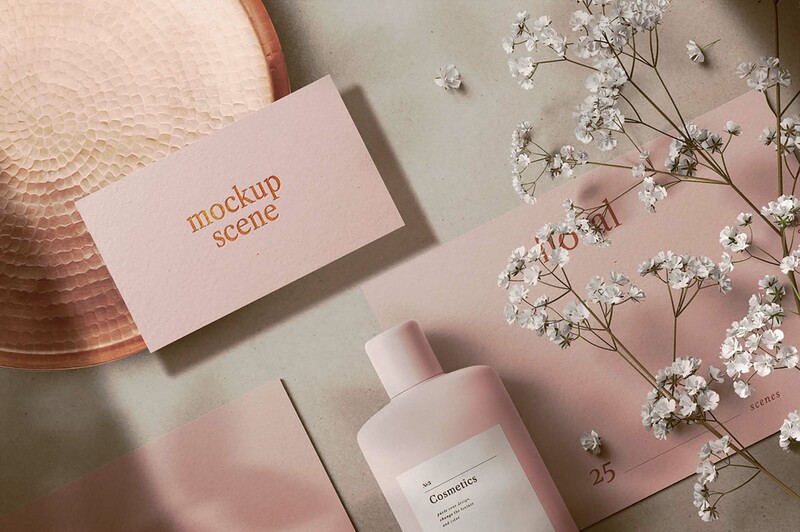 And since we all care about following the rules, this is the floral cosmetics mockup scene created by Aleksey Belorukov. 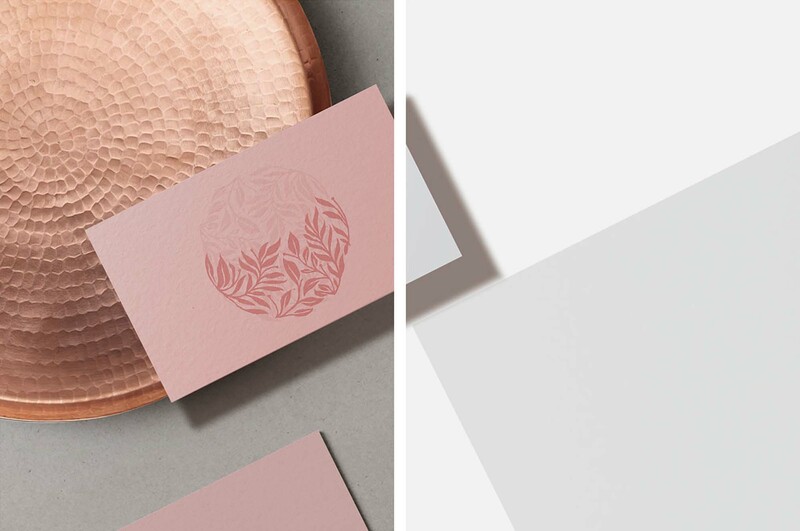 A lovely mockup that carries a card, a paper/envelope, a bottle and flowers, and that combines an elegant style, a peaceful impression, and a practical layout. Coming in PSD format, it can be used for anything from web projects and social media posts to ads, posters, flyers, presentations etc. And the best part is that the layers are highly organized, and this, combined with the easy customization process will make your work look outstanding, which permits for easy and effortless work that’ll barely take a couple of moment to be done.